We get a DM flyer of some sort every other day from Artists, Photographers, Studios, Production Houses, Media Rate Cards, (Some expensive and no so dear ‘carrots’ like Gadgets, Baseballs, Cakes, Pizzas as well as the usual money off incentives and other value offers) as well as the run of the mill B2B contacts like Stationery, Telecoms and Print suppliers, Insurance Companies and the like. This one stands out by a country mile and demonstrates your DM activity doesn’t have to be expensive: simple and clear; relevant copy, not overly detailed and with an appropriate gimmick, sorry, premium attention grabber. 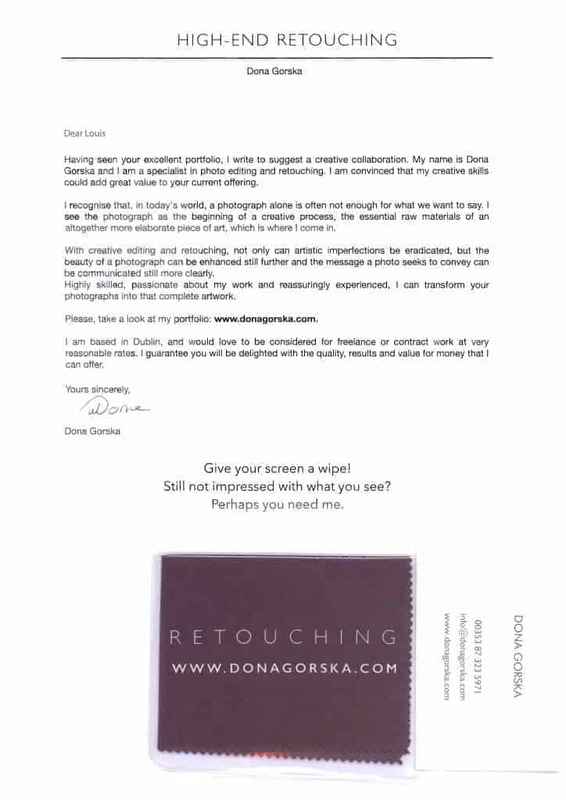 Next time we need serious retouching, we’ll put you on the shortlist Dona.